The news is about Rahul, but you decide which is more entertaining? A question was raised by jeetiaf as to why our main page has news about Aishwarya and Madhur Bhandarkar and not some other serious news. So I present two news stories here, both about people who have political connections and lineage and the same first name - Rahul. Now you decide which is more fun and light reading and which is just the usual stunt and drama? NOIDA: Signalling a stepped-up campaign against Uttar Pradesh's Mayawati government, Congress general secretary Rahul Gandhi on Tuesday morning reached Bhatta-Parsaul in Greater Noida and met families of farmers. Rahul met farmers and his agenda was to motivate all the villagers residing in the villages of Yamuna Expressway to attend the Kisan Mahapanchayat that is scheduled for July 9 in Aligarh and to make it a huge success. Rahul said, "I have started this yatra. I have started it from Bhatta and will go to all villages and see what is happening to ascertain your views on the new land acquisition policy of the Uttar Pradesh government." The Kisan Mahapanchayat is expected to raise issues of farmers, including land acquisition. Rahul Gandhi, once again, caught the administration off guard and reached Bhatta-Parsaul at around 6 am in the morning. Upset over the another visit of Rahul Gandhi in Bhatta-Parsaul without informing the authorities, the district administration is set to shoot a letter asking him to inform about his visits. Speaking to TOI, Gautambudh Nagar district magistrate Hridyesh Kumar said that it is ones democratic right to visit anywhere in India, but if leaders like Rahul Gandhi undertake tour of a district without informing the authorities it can lead to law and order problem. "Rahul's visit can disturb law and order and it could be a life threat to him also. If the district administration would have been informed, we could have managed his visit properly but, unfortunately, Rahul again did not inform the district administration. "We will hold a meeting and discuss all angles after which we will send a letter to him asking him to inform Gautambudh Nagar district administration before undertaking a tour of the district," the district magistrate said. Congress had earlier planned to hold a rally in Bhatta-Parsaul village in Greater Noida - the epicenter of protest by farmers in May over acquisition of their land - but had to shift the venue to Aligarh. Kumar further said, "Police officials and a team led by additional district magistrate tracked Rahul Gandhi's visit the moment they came to know. Till the time he was in the district, we provided him with adequate security." 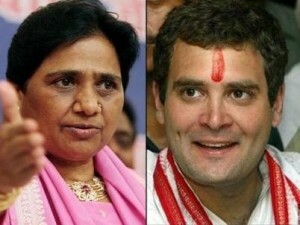 A senior police official said that elections in Uttar Pradesh are round the corner and Rahul may undertake visits to the district in the future as well. "Rahul began his tour by first reaching Parsaul. He then went to Bhatta and met the villagers following which he went to Acchepur, Rustampur and Bhaipur. He is expected to reach Agra via Tappal," said a district administration official, assisting him. In a major embarrassment to Uttar Pradesh government in the midst of ongoing farmers agitation over land acquisition, Rahul Gandhi on May 11 sneaked into Bhatta-Parsaul village in Greater Noida and sat on dharna along with the villagers and announced he would not move out until his three demands were conceded by the UP government. 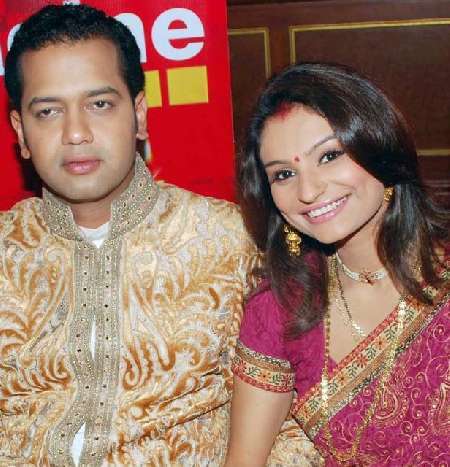 Rahul Mahajan's second wife, Kolkata model Dimpy Ganguly, left his Worli house in the early hours of Thursday after what she has described as a night of violent abuse. Mumbai Mirror met up with Dimpy at Dadar on Thursday, just hours after she left Rahul's house vowing never to return. There were bruises on her shin, right and left hand, while her left cheek was swollen. There was also a lump on her head. Dimpy said Rahul beat her up early on Thursday morning after waking her up to know the contents of a message that had just beeped on her phone. Since the phone had the key-pad lock on, Rahul was unable to operate it. When Dimpy asked him to let her sleep, he flew into a rage and began hitting her. She said he punched, kicked and dragged her by her hair. When she could not take it any more, Dimpy pushed him, picked up her phone, ran down the stairs and hid in the passageway. This was 3.30 am. Dimpy then called a friend, who picked her up around 4 am. Her father arrived at Rahul's house at 4 pm after she related the incident to him over the phone. That's when she returned to the house, packed her bags and left. When contacted, Rahul denied he hit Dimpy. "It is not true at all. I just had dinner with Dimpy's father," he said. Dimpy, who married Rahul on TV reality show Rahul Dulhaniya Le Jayega in March this year, had made desperate calls for help to her family and friends in the past couple of weeks. A source said the abuse had started just a month after their national TV wedding. "However, the intensity increased in the past month-and-a-half," he said. Dimpy further said that the problems started after her insistence on appearing for her second year exam. Rahul was not happy with her trips to Kolkata for the same. When he got angry, he would also get physical. "One such fight got so out of hand that I had to call my mother-in-law. Later he was angry that I had involved his mother in the affair," Dimpy said. She also alleged that during another fight, Rahul had pointed a gun at her. "He is a nice guy, but when he loses it, there is no telling what he might do." This is not the first time Rahul, son of late Bharatiya Janata Party leader Pramod Mahajan, has been accused of domestic violence. Media reports had indicated his separation from his first wife, commercial pilot Shweta Singh, was because he used to hit her. The couple divorced in August 2008. Last edited by echarcha; July 5th, 2011 at 11:41 AM. Rahul Mahajan's story is old. And Rahul G story well, I am sure from now on we will hear only his news. He farted, he puked, blah blah.. I used to feel that by showing support and arguing for my favorite political party would make a difference. But it does not. I have no problems that I am totally alone here when it comes to Congress. (Okay marvelous bhau too is with me) But I am myself bored of it for some time now. Maybe, the next scandal or scam will make me want to do politics again. Mahajan turned the BJP into a spineless creature. "Forget BJP winning 2019 polls, even PM Modi may lose Varanasi seat under united opposition: Rahul Gandhi"
Congress president Rahul Gandhi on Sunday took potshots at the BJP, insisting the saffron party will not win the 2019 Lok Sabha elections and that even Prime Minister Narendra Modi might lose his Varanasi seat under a united opposition. “Frankly, I don’t see the BJP winning the next election, so in 2019 we will go back to the normal, I sense,” Gandhi said during an informal media interaction in Bengaluru. “…because there are two basic things, once opposition unity goes above a certain level, it becomes impossible to win elections. Now the opposition unity has gone to a point. It’s simple,” the Congress chief elaborated. He was on the sixth leg of campaigning as part of the ‘Janashirvada Yatra’ ahead of the May 12 polls in Karnataka. He said even Modi may lose if he stands from Varanasi and the three parties were united against him. “In fact, I challenge him to stand with three parties united,” he added. ^^ often exact opposite of what RaGa says comes true.. bjp may lose 2019 but no way is Modi losing Varanasi.. RaGa knows it and so does everyone else, he’s only fooling himself and core Congressis. Rahul Gandhi is delusional. It is well known. But if he contests from another constituency too, it will be a huge loss of face, and that may weaken his stature. Don't think he can afford do it again this time. 2014 was fine, since he was leaving Gujarat for first time.